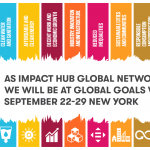 Impact Hub and UNDP launch the third edition of Accelerate2030, an international scaling program for high-impact entrepreneurs tackling the Sustainable Development Goals (SDGs). The program is targeted at entrepreneurs with innovative and scalable solutions to the world’s key challenges, including poverty, clean water, health and wellbeing. To date, Accelerate2030 shows impactful results: Brazilian venture PiiPee is transforming the sanitation world, with its innovation of waterless toilet flushing having saved over 65 million liters of water. HearX from South Africa, is giving thousands of children access to affordable and accurate hearing diagnostics. Overall, the supported enterprises scaled to numerous new markets, increased their number of beneficiaries by more than 100% and increased employment by 41%. Learn more about the ventures here. The entrepreneurs join a competitive scaling program, and are featured in major global forums, including the Social Good Summit Geneva and the United Nations General Assembly in New York, connecting with key representatives of the private sector, government officials, United Nations, and impact investors. 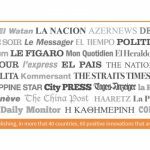 Key partners include Pfizer, International Trade Centre, Amazon Web Services, Boston Consulting Group and others. 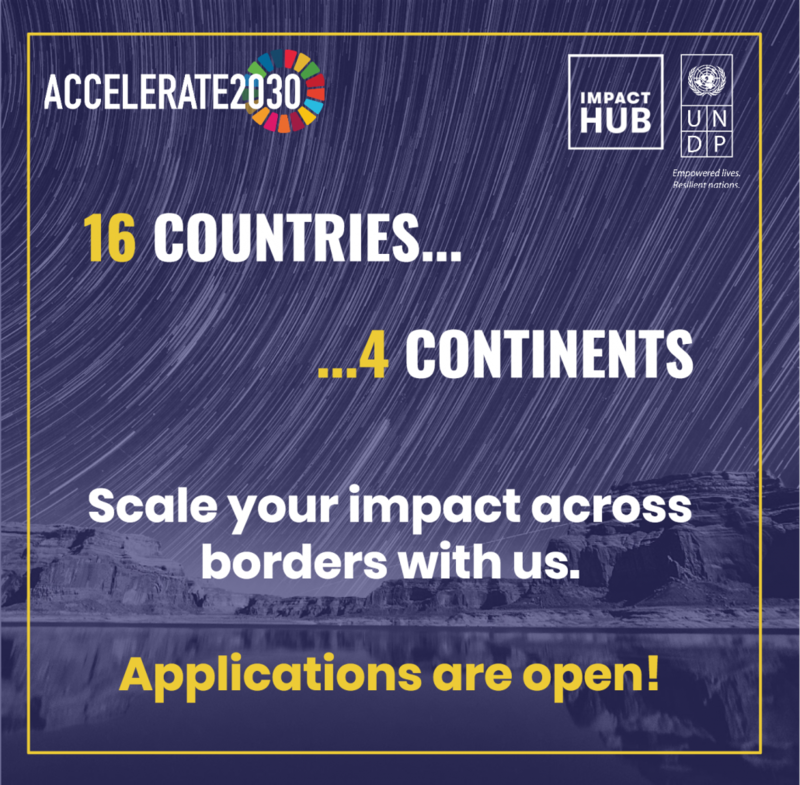 This year Accelerate2030 is looking for entrepreneurs from 16 countries across Asia, Africa, Eastern Europe and Latin America: Mexico, Venezuela, Colombia, Brasil, El Salvador, Costa Rica, Turkey, Cambodia, South Africa, Serbia, Malaysia, Indonesia, the Philippines, Nigeria, Zimbabwe and Armenia. “New ideas and experiments to tackle old problems through partnerships are pivotal to achieve the SDGs. That’s exactly what the Accelerate2030 and the Social Good Summit Geneva deliver, bringing together entrepreneurs, investors, the public sector, and other key stakeholders to scale up innovative, impactful, and scalable solutions for the SDGs”, notes Sarah Bel, UNDP Geneva. Accelerate2030 is a multi-stakeholder program co-initiated by Impact Hub and UNDP in 2016, identifying ventures with tested and scale-ready solutions contributing towards the Sustainable Development Goals, and providing them with support and infrastructure needed to scale their impact. The program has to-date been implemented in 19 developing and emerging economies across Africa, Asia, Latin America and Eastern Europe, reaching 1 million people and more than 500 entrepreneurs globally, with the next edition launching in April 2019. “We are very passionate about working with entrepreneurs who tackle problems as important as education in remote areas, access to healthcare and clean energy. 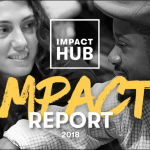 We have seen such amazing results working with an international network of partners, and are expecting even more for this edition”, says Santu Boëthius, initiator of Accelerate2030 and co-founder of Impact Hub Geneva.